Dimensions: 2.50" x 2.00" x 6.30"
A good cup of freshly-brewed coffee is becoming something I get excited about; it is what propels me out of bed on those cold mornings in camp. Morning coffee has become somewhat of a ritual; grinding the beans, heating up the water, brewing, and enjoying the coffee as I gaze over whatever vista we happened to be camped next to. In year's past, we used GSI Outdoors' Java Grind, which was awkward to hold and even more awkward to use. In short, it was rubbish. 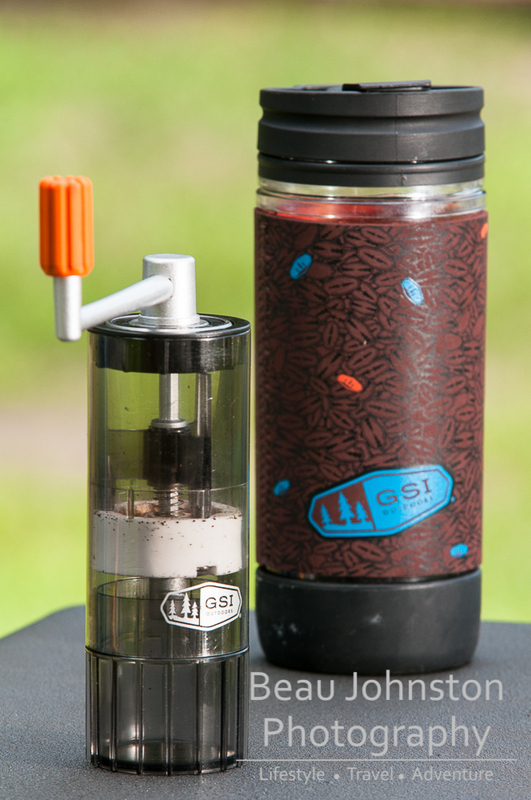 GSI Outdoors went back to the drawing board, after talking with their end-users, and at the 2013 Outdoor Retailer Summer Market announced they had designed a new coffee grinder. 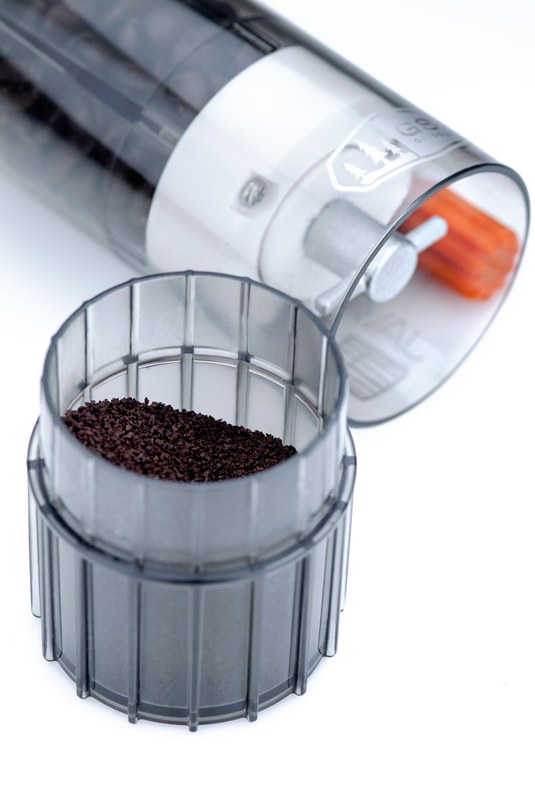 The Java Mill, which incorporates a fully-adjustable ceramic burr grinder was to replace their old design. Things were looking very positive and I even noted in my OR Show coverage that, while we were only able to handle the prototype, the ergonomics had improved significantly and I was excited to bet my hands on one. So how did they do? I have to hand it to the folks at GSI Outdoors, they stepped up to the plate and hit one out of the park. There is a level of detail here that you do not see designs from other outdoor equipment companies. These guys use the equipment that they design and manufacturer and you can see this played itself out in the Java Mill design. Not only did they incorporate an easy to operate burr grinder, to produce the best grind I have seen in a camping coffee grinder, but they also thought about the Java Mill's longevity and incorporated an over-sized ball bearing to limit the stresses placed on the ceramic components. While they could have easily stopped there and said, 'That is good enough,' they continued pushing the design, and in true GSI Outdoors fashion, looked at ways to nest the Java Mill into their other products for storage. This is where I really like what they have done. They were able to reduce the Java Mill into five key components that can be disassembled and rearranged so as to be able to fit inside of the Commuter Java Press. How brilliant is that?! We already had space allocated in our 4Runner's kitchen drawers for our Commuter Java Presses, and now we could include the Java Mill without taking up any additional space! There is one thing I would like to see added to the Java Mill and that would be measurement graduations on the lower grind cup. I know this is just being nit-picky, but I am a firm believer in having measurement graduations on everything that could hold food. It would be nice to know, by measurement and not guessing, how much coffee bean you have ground. I have always been a fan of the equipment GSI Outdoors produces, and the Java Mill is no exception! The grinding mechanism is over-designed (a good thing in my book! 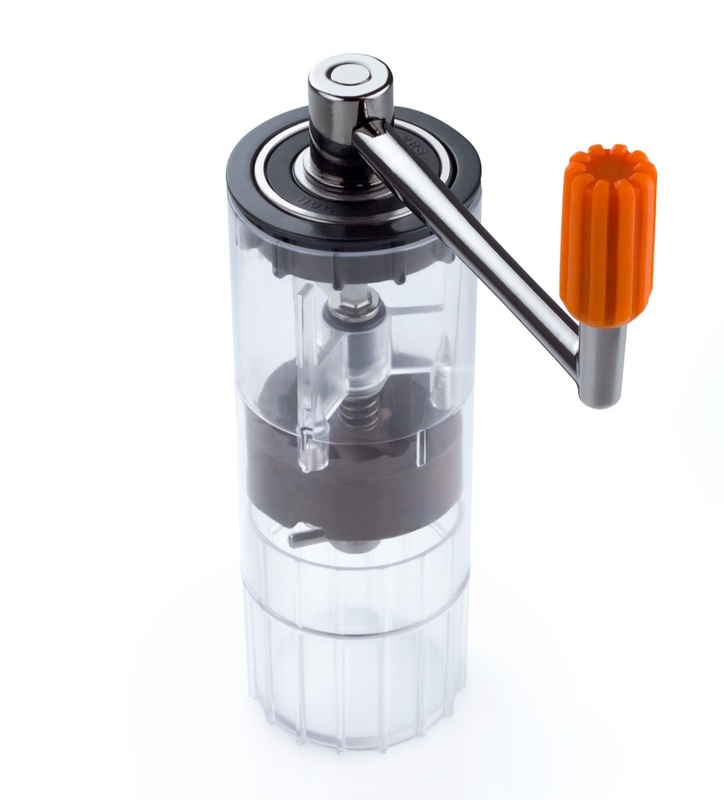 ), easy to operate, stores well with our Commuter Java Presses, and easy to operate. I know I said 'easy to operate' twice, but it really is. Not only is it a vast improvement over their old Java Grind, it is an improvement over any other camping coffee grinder I have seen on the market. I would, without reservation, recommend the Java Mill to anyone looking for a coffee grinder to add to their camp cooking gear collection. Don't take my word for it though, track me down at one of our upcoming events or cooking classes to find out for your self! Disclosure of Material Connection: I received the Java Mill for free from GSI Outdoors in consideration for review publication. Beau Johnston is an engineer, writer, and photographer who is dedicated to proving you can find a balance between work and life. He is the Co-Founder and Publisher of Living Overland and an Editor-at-large at Toyota Cruisers and Trucks Magazine. When he isn't working, you can find him exploring National Parks, fly fishing, and camping with his wife (Krista) and their two dogs.